I love Scotland. By now anyone who knows me, or who has given this blog, my podcast, or my social media even a passing glance knows this. While I still work toward my goal of immigration to Scotland, I'm excited to be planning my third visit there in the Fall. I've also reached the decision to undertake the creation of my own bespoke tartan! Like so many, as I began to explore my Scottish ancestry the usual questions arose, "What's your clan?" "What's your tartan?" Initially my exploration told me I was loosely affiliated with the Campbell's of Breadalbane. Part of my Scot ancestry traces to the Breckenridge family and early research turned up evidence that while originally from the Ayrshire/Lanarkshire area of the "lowlands" in SW Scotland, they later moved north where they became "under the influence" of the Campbells of Breadalbane. I've never quite found what "under the influence" means. On one of my podcasts with Brian Wilton, formerly of the Scottish Tartans Authority, he suggested it probably meant they had shared a drink at the pub! Did I say "loosely affiliated?" 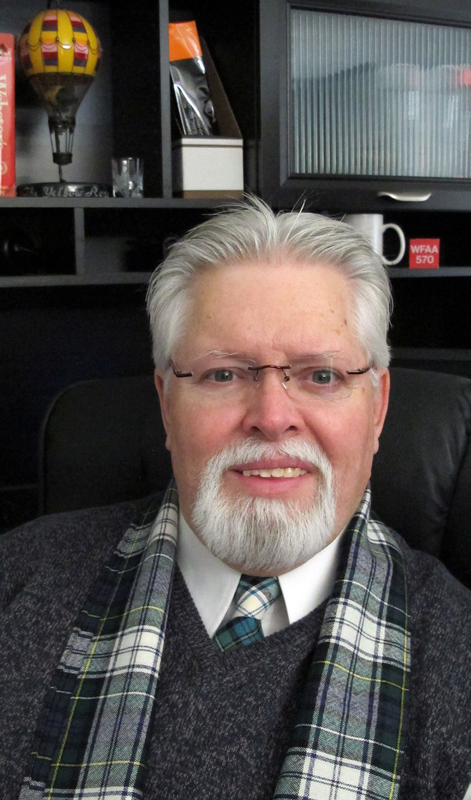 Still, when I "came out" as Scottish I posted this early photo proudly displaying my Campbell Dress Modern tartan tie and scarf. Further research eventually revealed that in fact, the Breckenridge name is a recognized "sept" (a division of a family) of Clan Douglas so it was time for a change of suits, and tartans. Even further research, all done by my family genealogist cousin, reveals ties to Clan Craig and discovered my 8th great grandfather, Robert Gabriel Barnhill, born Glasgow 1627. Despite the often held popular belief to the contrary, anyone can wear any tartan. There are no laws that that you'll break if you're a Campbell and wear a MacDonald tartan or vice versa. Sure, it may not go down with clan purists and indeed that particular example is perhaps the "worst case" scenario but it serves the point. The fact is, there are thousands and thousands of tartans, some clan specific, but others representing sports clubs, businesses, organizations, causes, and yes, individuals. Still others are designed almost as "generic" tartans that anyone with an affinity for Scotland, or just tartan, can wear. Popular among these are the Royal Stewart and Black Watch tartans. 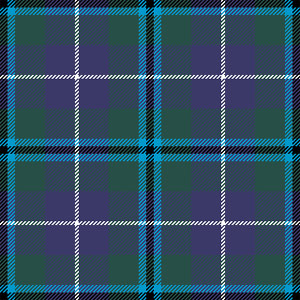 One of my favorites is the Flower of Scotland tartan, designed to honor the late Roy Williamson, writer of both the words and music of 'The Flower of Scotland' now accepted as being Scotland's National Song. For example, as an American I am able to wear the USA tartan, as a native Texan I could proudly wear the official Texas "Bluebonnet" tartan (most every US state has its own tartan). As a member of the National Trust for Scotland I sometimes wear their tartan. I also love the "World Peace" tartan, and there are many affinity tartans I admire, notably the "Declaration" tartan by designer Stephen Simm. He designed the "Declaration" tartan at the time of the 2014 Independence Referendum in Scotland. It's blue, white, yellow, and red colors represent the colors of the two flags of Scotland, the Saltire and the Rampant Lion, and the "Declaration" of course is the "Declaration of Arbroath" declaring Scotland's independence and signed in 1320. (Stephen and I discussed this design and others of his in detail on my podcast, www.underthetartansky.scot.) 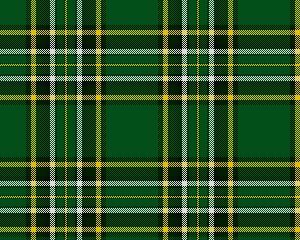 And since some of my Scot ancestors moved to Ireland before the USA, I can certainly sport the Irish National tartan (a fashion tartan which ironically has never been given any official status). In short, there is a tartan for everyone! 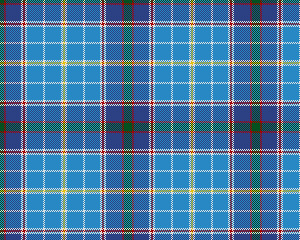 Clockwise from the top left: The USA tartan, the Texas "Bluebonnet" tartan, the National Trust for Scotland tartan, the Irish National tartan, the Declaration tartan, the World Peace tartan. Returning to my original statement, I love Scotland, and I can't think of a more natural, proper, and meaningful way to honor my heritage than to have my own tartan. I mean, why not a "Glen Moyer" tartan, or an "A Glen in Scotland" tartan? I must admit the inspiration for my decision belongs entirely to Clare Campbell, a bespoke tartan designer, CEO of Prickly Thistle in the Scottish Highlands. 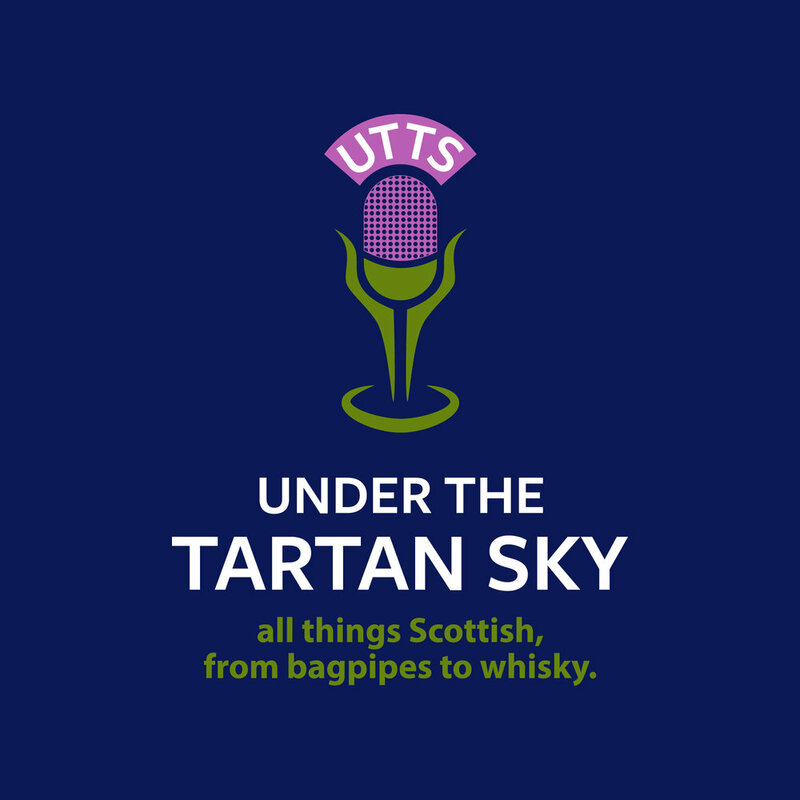 We were introduced quite by coincidence in the course of the production of my "Under The Tartan Sky" podcast. She has a most unique take on tartan design, she shares my passion for Scotland, and the opening statement of her website struck a chord with me - "Your story, woven into the fabric of Scotland." As i wrote on the blog post for that podcast with Brian Wilton, "Nothing says, "I'm Scottish! ", like tartan. 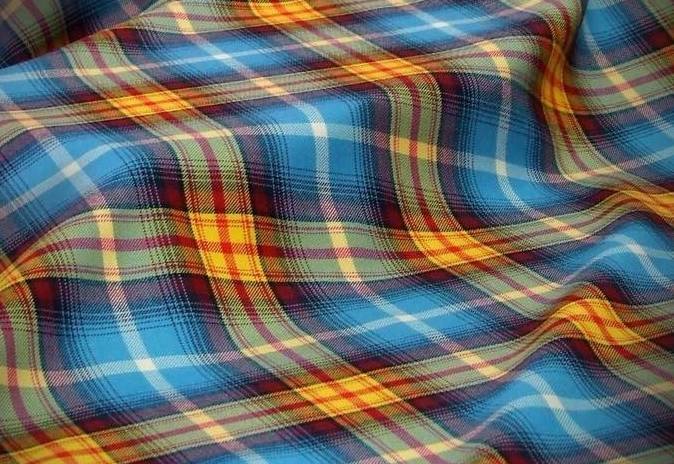 It's been called the world's greatest national icon (or as Clare calls it, "the fabric of Scotland"). If you want to tell the world you're Scottish, or of Scot descent, simply wear something tartan." Clare Campbell, bespoke tartan designer and owner of Prickly Thistle. Oh, and her maiden name is MacDonald. Remember my observation above? The time has come for me to weave my story into the fabric of Scotland. With Clare's guidance, I can't wait for the journey to begin!